NIKKEI 225 daily P&F; Now seems to be a dip and the support is 19400yen and 19000yen. 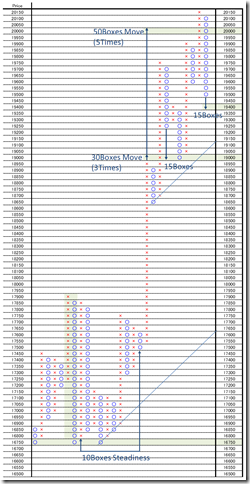 This is 50yen change and 3 box reversal close price’s Point and Figure chart. 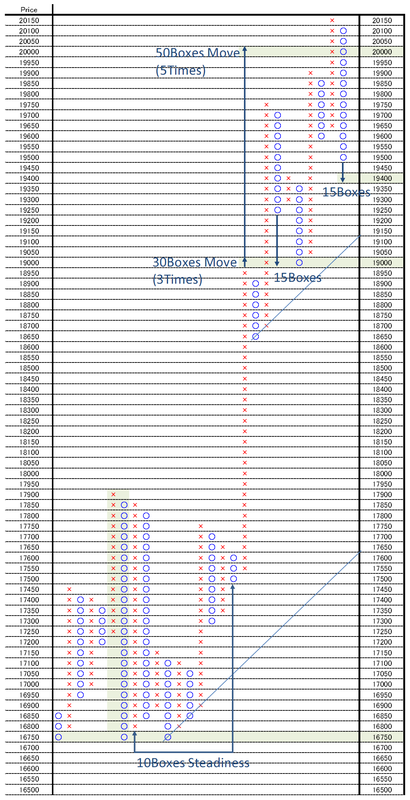 The market price was broken from 10 boxes steadiness and moved 50 boxes over; now still continues bull market. And it is natural going over 5 times over jumping. The support point will be 19400 and 19000yen around. USDJPY hourly P&F; the price range is narrowing; the range is from 120.0yen to 118.30-40yen. The range is from 120yen to 118.30-40yen. Breaking down side, the market price will stop 117yen low. 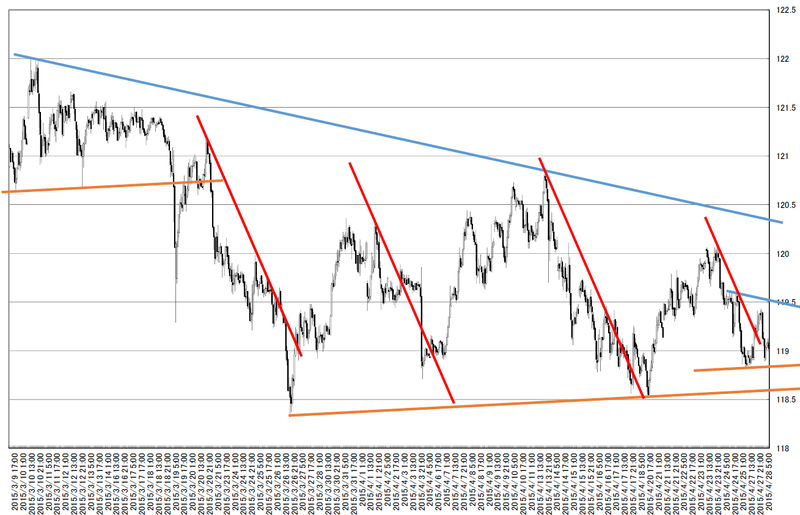 We can find out the range is narrowing from trend line analysis.